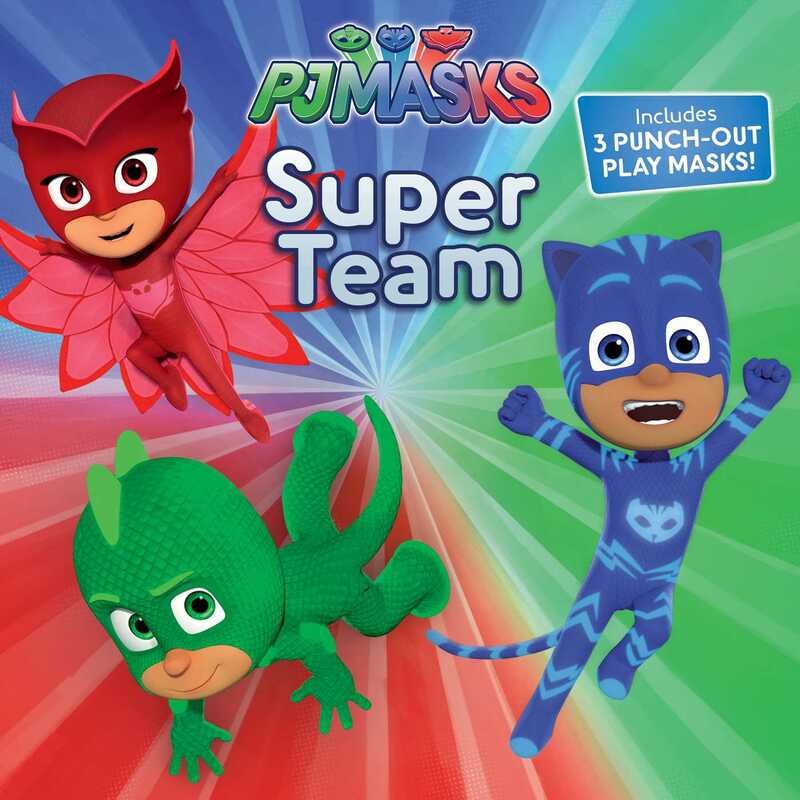 Catboy, Owlette, and Gekko must learn to work together in this 8x8 storybook that comes with three masks to punch out and wear, based on an episode of PJ Masks, the hit preschool series airing on Disney Junior! When Night Ninja steals all the sports equipment from Sports Day to make his Ninjalinos super strong, it’s up to the PJ Masks to get it back! There’s only one problem: Gekko is determined to prove that he’s the strongest, so he won’t let Catboy and Owlette help. Gekko learns that teamwork can make a strong hero even stronger! After the story, kids will love the three punch-out masks of Catboy, Owlette, and Gekko that they can use to have their own heroic adventures!